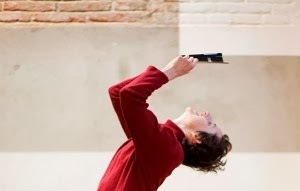 tragantPROCESSOS is a project for artists related to contemporary performing arts creation that contributes to the research and creation of the works in progress of several artist-creators, bringing us closer to the work, the concept and the development of different dance – body – movement creators. tragantDansa will choose 4 projects among the applications received. These 4 projects-artists will have a 2 month period of residence at Espai tragantDansa (10 hours per week). Furthermore, 3 of these project-artists will have a second residence in one of the collaborating centres outside Catalonia. The deadline for the proposals ends on the 10 th January 2014. Proposals out of date will not be accepted. + An open presentation. Date and time will depend on the timetable and the requirements of the host studio. + Once the terms of the exchange are set, the resident artist of tragantDansa will communicate directly with the other host Studio.